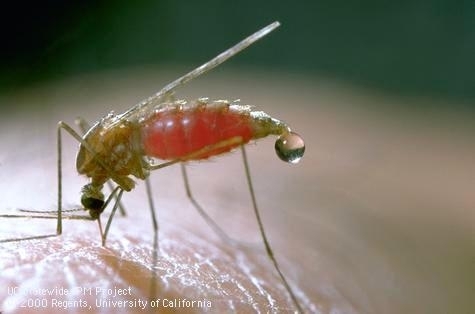 Elk Grove, Ca.—The Sacramento-Yolo Mosquito and Vector Control District confirmed today that the first bird of the season has tested positive for West Nile virus. The American crow was collected south of Del Paso Heights in Sacramento and it is the first sign of West Nile virus activity for the 2018 season. “Finding the first positive bird is always significant because it provides an early warning sign for the disease,” said Gary Goodman, District Manager. “It confirms that the virus is present, provides a good indication of where we may find positive mosquito samples and where human cases may develop later in the season” added Goodman. This is the first indication of the virus within the District's service area; however other counties throughout the state including neighboring El Dorado County have already started to register activity. The public is encouraged to report dead birds by calling the California Department of Public Health hotline at 877-WNV-BIRD (877-968-2473). Some species of birds such as crows, jays and magpies are very susceptible to the virus. Though not all birds that are reported will be picked up and tested, the reports provide valuable information and assist with mosquito surveillance and control efforts that help protect public health. In response to the detection of WNV activity, the District will increase its mosquito trapping and surveillance in the area to find sources where mosquitoes may be breeding. Residents may visit www.FIGHTtheBITE.net to subscribe to mailing lists to receive email notifications for upcoming mosquito treatments by zip code. To sign up, go to Spray Notifications on the website. Sacramento County: 1 dead bird has tested positive for West Nile virus to date. Yolo County: No activity has been registered so far. Copyright © 2018 Sacramento Yolo Mosquito & Vector Control District, All rights reserved. You are receiving this notification because you subscribed to our spray notification email list at http://www.fightthebite.net.